Our job at Cobalt Security is to protect your property from poachers and theft, ensuring that you can focus on production and maintain maximum profit from your yield. With agriculture theft on the rise and increased costs of production, maximum yield is critically important to the farmers’ bottom line. 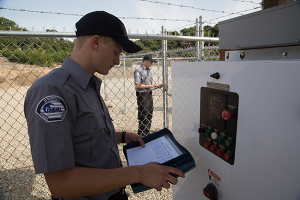 With the cost of water on the rise, our security specialists can also perform maintenance checks while on patrol, conveniently reporting to you any maintenance issues, to include broken sprinklers, irrigation issues, inspection of wells and more. Contact Us today for more information about Agriculture Security by Cobalt.